Like all other aspects, technological headway has permeated in the fitness industry as well. Various aspects of fitness industry are directly or indirectly related with technology. 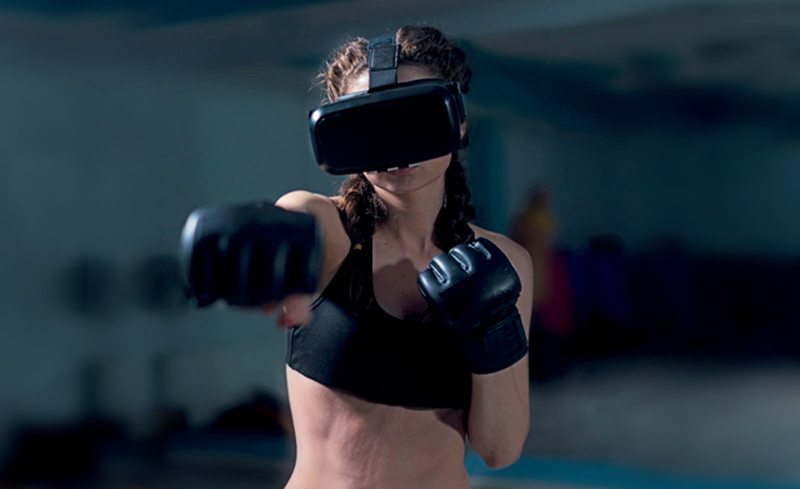 Whether it’s the marketing of your gym, bio-metric verification of your gym members or the facility of online payments for your clients, technology has pretty much touched all corners of fitness realm. Tracking member activity and assessing the effectiveness of their fitness regimes. Activities can be altered accordingly based on the results. Create, store and share useful insights pertaining to fitness. You can manage a database or ecosystem within your club, sharing information with members and fitness trainers, adding more value to every session. Increase your reach beyond your usual target audience by creating impressive campaigns and contests. Provide customized services to your clients by collecting information about preferences and habits of your members. This would enable you to suggest a personalized program to them, catering to their specific needs. Stay connected to your members beyond the walls of your club by providing them wearable technology and video tutorials. Following are some of the ways that technological advancement has put its footmark on fitness industry. Nearly a decade and a half ago, newspaper advertising, banners and brochures were a norm for moving customers through your gym door. Rapid advancement of technology and the abundance of social media platforms has added a new dimension to gym marketing that isn’t possible with traditional marketing methods. With the help of Twitter tweets, Facebook page and YouTube account, you can get connected to a large number of people, aptly converting them into members. Incorporating YouTube Videos and live tutorials on your fitness websites makes it quite easy for members to follow you, if they fail to make it to the gym. By constantly updating viral content on your website, you can reach out to large number of fitness enthusiasts who are your target audience. This can lead to higher subscriptions, video downloads and subsequently increased foot traffic. With the presence of numerous social media channels, social support system has taken a whole new level. No longer gym goers need to look for community support groups; they can easily get the pat on the back by posting pictures and videos of their progress online. This way exercisers can stay committed and motivated towards their fitness goals for long. Sharing important insights and experiences from their fitness journey allows them to interact with like-minded people. Social media community also enables gym owners to connect to clients, other fitness professionals and communities. Though the concept of fitness gyms that are operational 24 hours isn’t something new, gyms such as Anytime Fitness, whose structure is highly dependent on technology, has made fitness accessible to everyone round the clock. This allows visiting gym very convenient for people without being bound by unsuitable schedules. Owning to technological advancements, staying motivated to your fitness goals doesn’t require too much toiling. With a suitable app downloaded on your mobile, you can get constant reminders and much-needed drive to pay heed towards your fitness and nutrition. This also brings good news for personal trainers, who don’t need to be present for routine sessions. Rather they can share their expertise on workout programs that require detailed guidance on technique and movement. No longer you need to step onto weight machine to see what the scale reads. Simply get yourself a good app from the market and you have the liberty to monitor the calories that you consume and burn, your heart rate and track your weight loss. These handy gadgets come with tiny sensors that note down minute details about your body. This data can provide accurate insight about your current standing on fitness journey. Some options also provide behavioral feedback and can act as reinforcers to help an athlete reach particular goals. With the help of technology a simple treadmill has turned into a state-of-the-art fitness wonder. Integrated TV screens and heart-rate monitors are an essential component of a treadmill, even more experiments are underway to add 3D body scanner that would detect bodily changes during exercise. This level of detailing during fitness activity was far away from anyone’s imagination a decade ago.